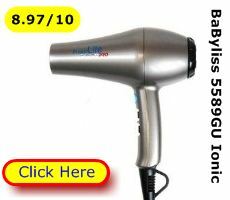 Best Buys For You UK - Which Hair Dryer is Best? 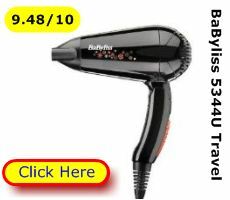 You are here:Best Buys Compared > Hairdryers survey > Which Hair Dryer is Best? 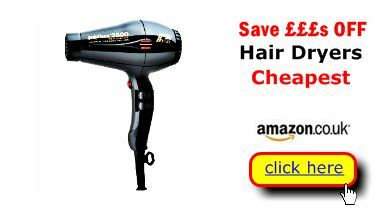 Which Hair Dryer is Best 2015 UK? Which hair dryer is best in 2015? These are the blow dryers that will dry your hair quickly, without scorching and without frizz. 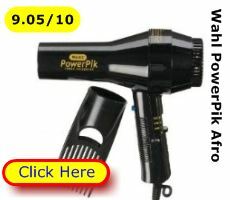 Pick the right hairdryer (and attachment) you will have an essential beauty tool that will suit any hair type or style. The very best will give good service for years and defy most accidental drops. Not sure which best buy dryer will suit your hair length or type? Check out our Dryer Hair Compatibility Table here. 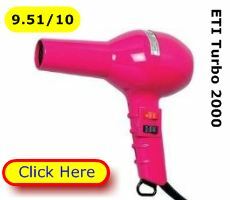 The good news is you can get a reliable hair dryer for home use without spending a small fortune. Which hair dryer is best? At Best Buys Compared we’ve carried out research among more than 1,600 users. These people have used their blow dryer regularly for 3 months or more. Will it suit my hair type and length? 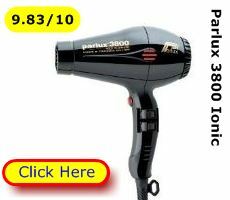 Our best buy hair dryer is the Parlux 3800. This is a great example of a professional dryer. It is both compact and well-balanced to minimise arm fatigue. It’s easy to pack if you travel. The well-made motor is powerful and promises many years of faithful use. The heating element is coated with a ceramic compound to ensure a particular heat setting is constant. There are 4 heat settings enabling the user to dry any length or texture of hair, quickly – without scorching. The Parlux is also an ionic hair dryer. That means it produces a stream of harmless, invisible negative ions. The main benefit of that is to reduce the positive ions that cause fly away or frizzy hair. If you are in the market for a salon professional dryer, the Parlux 3800 is the Rolls-Royce of dryers. If you want a top-notch beauty tool for use at home this is it. 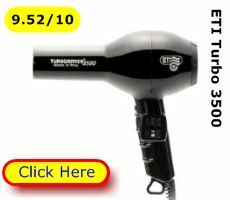 For half the price of the Parlux you can get the ETI 3500 Turbo dryer. The ETI 3500 has a similar specification to the Parlux. It’s just not as compact and it doesn’t currently offer ionic technology. 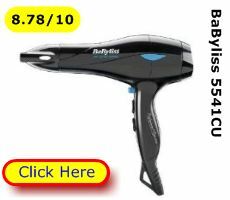 If you are looking for a cheap, compact but powerful travel hair dryer consider the BaByliss 5344U. It dries hair quickly. That’s all really. 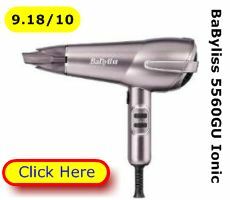 The BaByliss 5560GU is an ionic hair dryer intended for home use. It’s got a similar specification to the Parlux 3800 but costs a quarter of the price. There are 3 not 4 heat settings. It’s also reasonably light weight and is backed by a 3 year BaByliss guarantee. Sounds like a bargain to us (just don’t drop it on a hard surface). Our survey panel game us the answer to which hair dryer is best? Our 2015 survey lists eight dryers that achieved overall user satisfaction ratings above 9. That means owners and users consistently rate these blow dryers as fit for purpose, reliable and value for money. 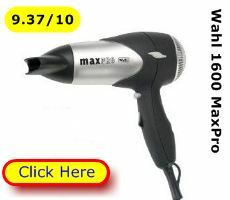 The best buy professional hair dryer is the Parlux 3800 with Ionic technology. As you can see there are other salon professional dryers that users have awarded more than 9 points of satisfaction. 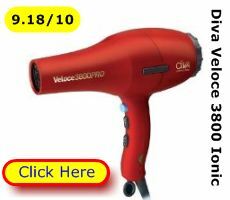 The Diva Veloce 3800 – also Ionic - costs 40% less. And the well-respected/constructed ETI models 50% less. All these salon dryers come with a 3 metre power cord. That’s long enough to work with and avoid tangles. Each also has a hanging loop. The Parlux 3800 is a compact design intended for professional hair stylists who also travel. It even has international power adaptors. But don’t forget the travel adaptor plug! The other two travel dryer candidates are cheap ‘n’ cheerful. They’ll dry you hair quickly and without scorching. And that’s all. If you are working with long fine hair or you suffer from frizzy or fly-away hair you could benefit from ionic technology. The best ionic hair dryers produce a stream of invisible and harmless negative ions. These neutralise the positive ions that cling to hair in cold weather, after towel rubbing or through using plastic combs. The best buy hair dryer at a budget price is the BaByliss 5560GU at around £22. As you can see it is well rated by its owners – both for value for money and hair drying ability. There are 2 blow dry settings and 3 heat settings. It’s also got ionic technology built in to counter fly away or frizzy hair. And a 3 year guarantee! The top salon dryer – according to users – is the Parlux 3800. Its compact (for travelling), light weight and well-balanced. Plus it has a range of accessories like concentrator nozzles, diffusers and even a sound baffle. Plus you get a hanging loop, generous power cord, 2 blow speeds, 4 heat settings and a cool shot. And it’s Ionic too. Other salon professional dryers have equally impressive user ratings. So the choice is between compactness and price. What you want from your dryer is to quickly dry hair without scorching the scalp or heat damaging the hair. You also want a beauty tool with variable heat settings and a cool shot to help you get the look that suits your hair cut and lifestyle. The range of these settings is what enables you to match blow dry performance to the length and texture of your hair. Thanks for looking. 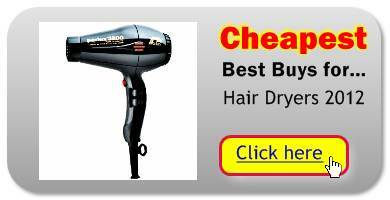 Best Buys Compared brought you the answer to which hair dryer is best 2015?